Be nice to people. Be nice to “you”. 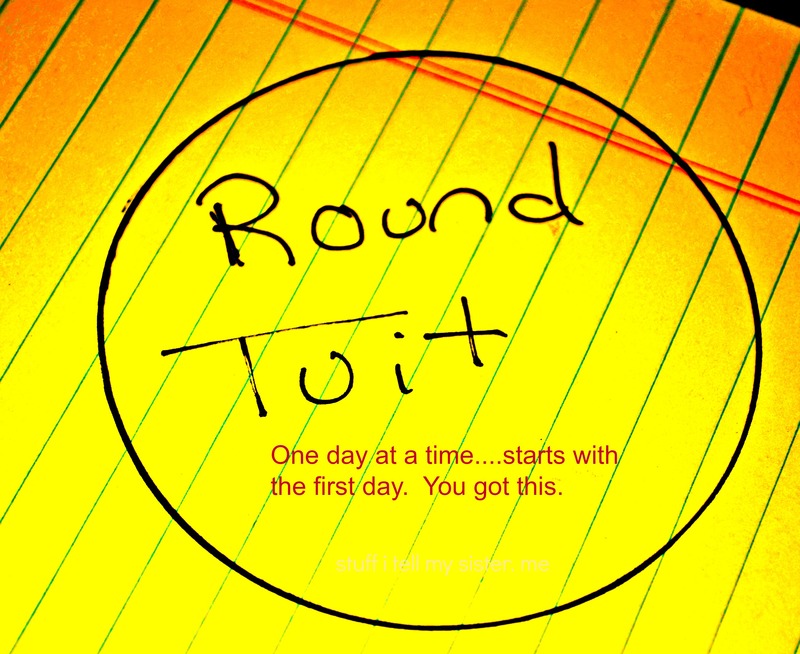 This entry was posted in Uncategorized and tagged Challenge, Changes, Encouragement, July, just do it, New Beginnings, New Year, new year resolutions, one day at a time, opportunity, Round Tuit, starting over, The First, You got this. Bookmark the permalink. Fresh start…..a great way to think of it! Thanks! Happy Holiday! Ok, I picked my thing but I gotta say it is particularly hard to accomplish anything when what I really want to do is enjoy our too short summer! BTW today is Canada Day so I have to go celebrate at Mellennium Park – today is the first write off! Good for you! And Happy Day to YOU! Enjoy and “check”. I start over so often, my starter’s shot! It goes by quicker with each year…..hard to believe next month is August…..and so it goes. Paula – is it okay with you if I think about this tomorrow. The heat has used up all of my brain cells today. I love using monthly challenges to better myself in some way or other. They are more manageable to me than a full year resolution. Yes they are! One day at a time!